You all know I love sci-fi, and stories of aliens interacting with us. I wanted to love this story. Sadly, I didn't. First, although an editor's name is listed on Amazon for this book, I'm not sure what she edited. This book is in desperate need of a proof reader. I don't usually nitpick over the occasional typo, but the typos in this book were many and more along the line of omitted words, or the wrong tense or version of the word in question being used which made me have to re-read sentences multiple times in order to try to understand what was attempting to be said. Next, this book is written by a man with a female protagonist and while I often read books written by men with female protagnists and they are often seamless - this time it showed. Papria, the main character, is from a world where men are the protectors and women are protected. Papria, raised by her father with the fighting skills of a man, wants to join a crew of soldiers on a voyage to Earth. She trains through the same academy as the men and passes her knowledge test, but then is subjected to a simulated physical/emotional endurance trial which is rigged to cause her to fail. This is how the book starts. I won't go into any more detail because to do so would give spoilers which I don't like to do. But here's the thing. Papria, as written by this author, is emotionally volatile with a temper she can't control, she's irrational, and she's capricious. Now, I think the author expects us to sympathize with her, and put her reactions down to what she endured during her physical/emotional test, and SOME of it we could, but not all of her behavior can be explained away and she comes off as a spoiled, narcisistic, nut case for the most part. Based on what takes place throughout the story (after her trial) I don't think she was fit for the mission. She likes to fight - it's why she's on this journey - but the fight scenes take up most of the novella and I found them boring. That this mission is staffed with only new recruits and no senior crew I found incredulous. That the men of her world would follow her into a dangerous situation just because she was set-up and survived it is ludicrous, especially considering her subsequent behavior. And I know this is nitpicky of me, but at one point on the space ship - which is of such high-tech that it can get this crew from their planet to Earth in a matter of days - someone sits on or shifts or something on the bed and it GROANS. You're tellling me that this advanced society, who has the technology I already mentioned, can't make beds that don't make noise? On their high tech spaceship? Seriously??? Additionally, the ending of this novella was bizarre. We were moving along, just about to get to something interesting and then all of a sudden - BAM - we have an epilogue that appears to be an afterthought - as if someone complained to the author that the book ended too abruptly so he added it on for some closure. If not for the epilogue I would have thought this author was planning this as a series -and he still could be. But the epilogue seems to take place quite some time after the last chapter and a lot of the potential for what could have been the best part of this story in between the last chapter and the epilogue is lost. 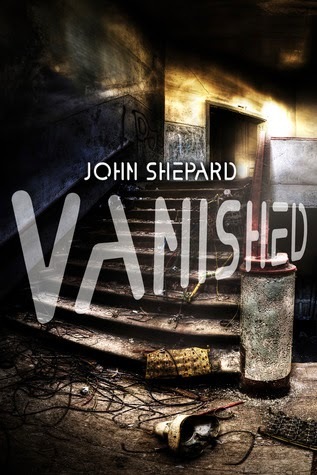 If you'd like to check it out for yourself, you can get to the Amazon page for Vanished by clicking here. What have you read that you really wanted to love, but just didn't? Papria’s father used to tell her stories. Stories of a planet; a haven, a wondrous place filled with intelligent life. His passion became her obsession. When he died she swore she’d become the woman he wanted her to be. Even he didn’t know how far her kind would go to stop a woman from succeeding. She’s humiliated, publicly shamed, and hurt, but wins the trials. Yet she’s still denied her right to leave the planet. Papria’s not a quitter. She’s getting off-world no matter what the cost; including sparking a revolution. This novella is 38,000 words and 50% of the proceeds from this book go to Kourageous Kids Storybooks; a non-profit helping enrich the lives of terminally ill children by writing them as heroes of their own books. No image of this author was found on Goodreads or Amazon. 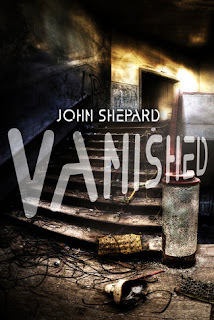 John's earliest memories are of curling up on the chase in his father's study with books. Though he didn't seriously take up writing until his late twenties, he's poured his heart and soul into learning and has a love of strong-willed women leads, tempestuous characters, and anti-heroes. He lives in Washington, loves to swim in the Sound, and can be found writing more often than not. Because reading was such an important part of his childhood, he's decided to donate 50% of all profit on his books to Kourageous Kids Storybooks; an organization dedicated to writing books for terminally ill children featuring them as the hero.